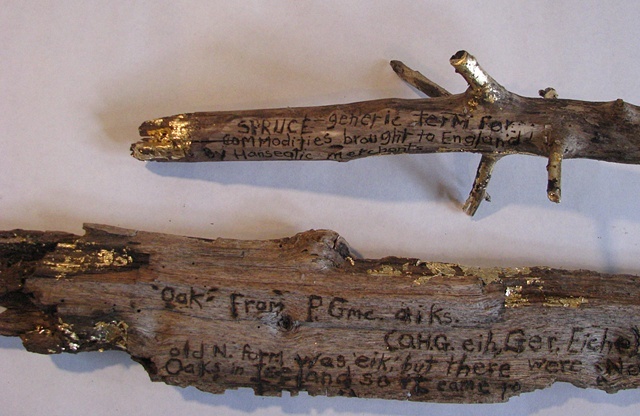 Image is of branches while they were being bandaged with gold leaf. "Spruce: Generic term for commodities brought to England by Hanseatic merchants." "oak; The O.N. form was 'eik', but there were no oaks in Iceland so the word came to be used there for "tree" in general."